Resin 'What A Donkey!' Golf Award. Antique gold with silver detail and a white golf ball. 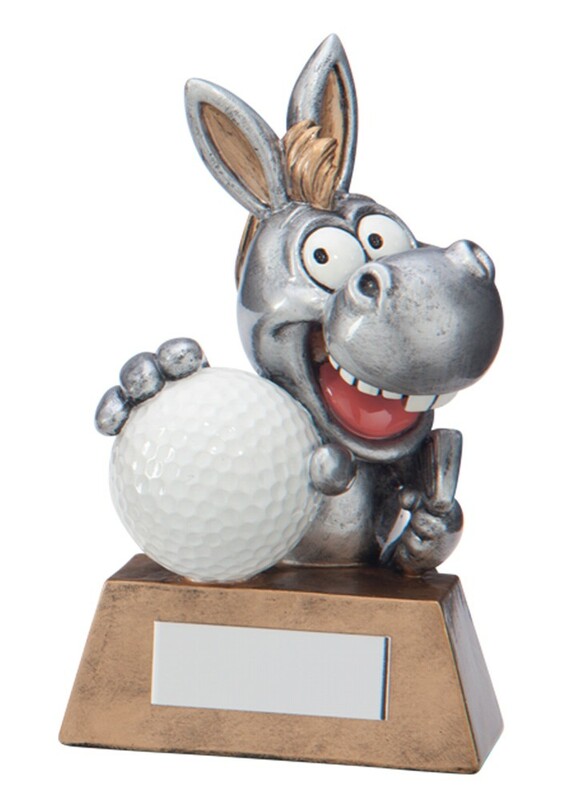 A great fun golf achievement trophy. Measuring 130mm high. Free engraved plate included.